As covered by Ethereum World News previously, the cryptocurrency market finally broke its weeks-long streak of non-action on Wednesday, as a majority of crypto assets tumbled by upwards of 10%. Bitcoin, for one, moved under $6,300 for the first time in weeks, while Ethereum (ETH), briefly spent some time under the strong psychological level of support at $200. 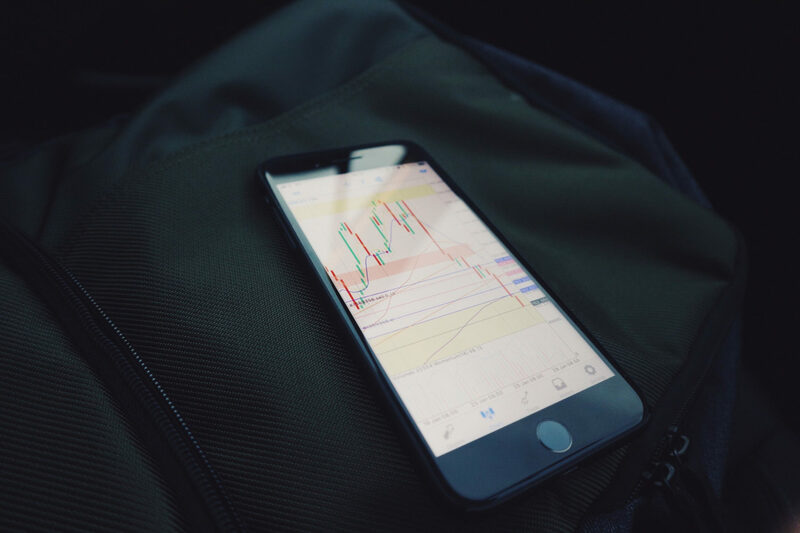 Due to the sudden nature of Wednesday’s tumble, many pessimists expected for crypto assets to continue lower, with some calling for the market to reach year-to-date lows before subsequently moving even further downwards. However, since the strong surge of sell-side pressure, the cryptocurrency market has found some footing, with a good portion of altcoins even heading higher. 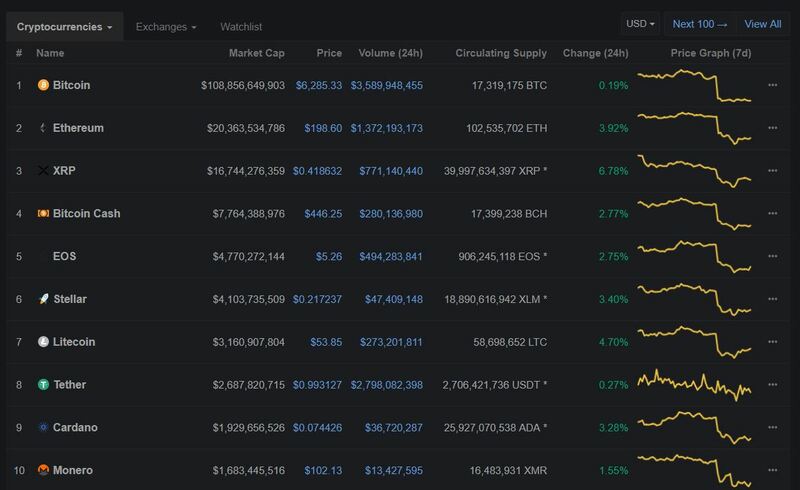 Although BTC is ‘par for the course’ in the past 24 hours, barely inching away from its $6,300 line of support, prominent altcoins, such as ETH, XRP, and LTC, are posting gains of 4 percent, indicating that the most recent tumble might have been an overreaction of sorts. At the time of writing, Bitcoin dominance has fallen to 53.9 percent and is down from the weekly high of 55 percent. Following Wednesday’s sell-off, many immediately took to popular social media channels and message boards to convey their thoughts on the downward bout of price action, which saw the total market capitalization of all publicly-listed cryptocurrencies fall from $218 billion to $201 billion. One of the two popular theories was that the rapidly declining volatility, coupled with the dissipating volumes, catalyzed this strong move to the downside, as such signals indicate that traders were starting to lose interest in this nascent market. The second theory was that Bitcoin was somehow moving in-line with traditional capital markets, like the NYSE, Nasdaq, and S&P 500 stock markets. It just so happened that on the day that Bitcoin fell, the stock market also tumbled by upwards of 4%, leading some to draw some connections between the two drastically different markets. There’s a narrative that the crypto market was simply falling in lockstep with the equity markets, which are slowly entering into correction zones. We believe this move in cryptocurrencies had nothing to do with the stock market. Quantitative director Kevin Lu and Naval, Element’s portfolio director, then added that data has shown that there is “little correlation” between global stock indexes and the price of Bitcoin, with there also being little evidence to prove that crypto assets move on the release of economic data. As aforementioned, ETH actually led the altcoin pack upwards today, posting a hefty gain of 4% as it teeters on the edge between the sub-$200 and above-$200 price levels. This sign of strength comes amidst an influx of open short positions against the popular cryptocurrency, reports MarketWatch. Per data from Bitfinex, there are now over 300,000 outstanding ETH short contracts, which tally to $60 million in value. Although $60 million in ETH short positions may not seem substantial from a holistic perspective of the crypto market, Bitfinex is currently hosting the highest amount of ETH shorts that have ever been opened at one time on its platform, indicating that many expect for the second-most popular cryptocurrency to tumble even further.